The "Little Men" star's shorts have often been the only student films featured at major festivals across the country. 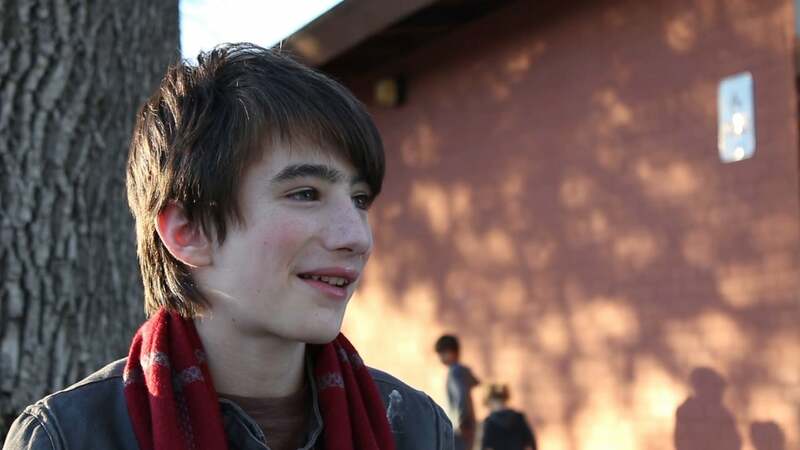 Theo Taplitz, star of Ira Sachs’ upcoming dramedy “Little Men,” has been making waves on the children’s film festival circuit with his latest short films, in which he writes fantastical ideas and conveys them through imaginative practical effects. Watch his two most recent shorts below. In “True Places Never Are,” a grieving boy, played by Taplitz, stumbles across a magical portal in his late grandfather’s copy of “Treasure Island.” He crawls through it and embarks on a series of fantastic adventures: traveling by paper hat, outrunning dragons and discovering buried treasure. The use of the “Secret Life of Walter Mitty” soundtrack is no mistake: Taplitz wants to take us on an emotional, reality-bending journey. “True Places Never Are” played at the BAMkids Film Festival, RedCat International Children’s Film Festival, and Children’s Film Festival Seattle this year. At all three fests, Taplitz’s was the only student film included. The stop-motion objects, including a paper hat, a whale and a dragon, are made with pages from Robert Louis Stephenson’s book, and Taplitz blends live photography with those practical effects. Yet the film is ultimately rooted in Taplitz’s memory of his grandfather, conveyed entirely through visual storytelling. In “Crap You!” Taplitz’s brother Nicholas stars as Box Boy (identifiable through a box helmet he wears in several of his brother’s films), who purchases a stuffed raven at a yard sale that will not seem to leave him alone. As it starts following him, he chops it up, lights it on fire, plunges it down the toilet and the raven ultimately ends up in the worst place you could think of. Again, Taplitz employs imaginative practical effects. “Crap You” played Atlanta Film Festival (where Taplitz was the only youth film in his category) and the National Film Festival for Talented Youth in Seattle this year. You can find the rest of Taplitz’s shorts at his Vimeo page. Watch out for this guy.